DISCLAIMER: This review was done in 2013 when iOS 6.x was the current operating system and iOS 7.0 was due in a month after posting this review. 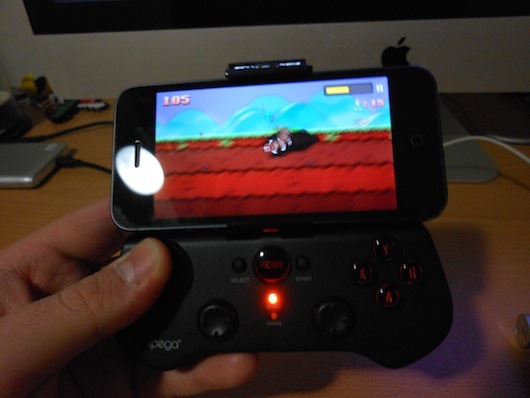 It appears that this device will not work on devices with iOS 8.x or higher. I’m leaving this note for people due to the amount of comments posted regarding this. I apologise for not responding to them sooner, so I hope this note will be loud and clear enough that it won’t work on iOS 8.x or 9.x. Before you shake your head going “Dave? Why the heck are you reviewing something for a new device?” Take a moment to breathe in.. Breathe out.. Now all of you who have owned an Android or iOS device for a long while now would probably be aware of the barrage of reboots and other independently developed games heavily inspired on classic gaming on their respected stores. 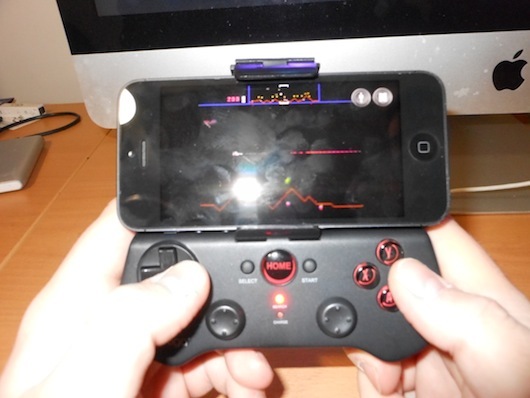 But what is the one thing that is lacking on such touchscreen-based devices when playing games? Physical control right? 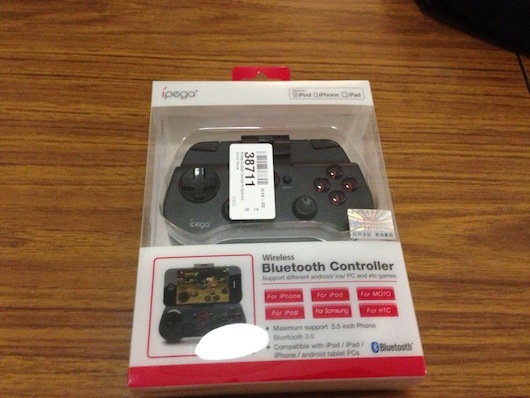 This is where the Ipega Wireless Bluetooth Controller (model PG-9017) comes in. 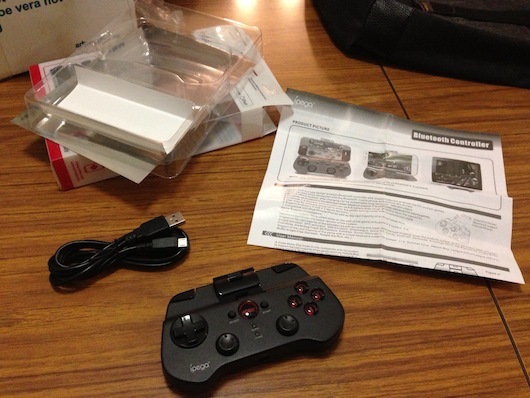 The unboxing reveals the controller of course, USB charging cable and instructions on syncing the controller to your device of choice. Unfortunately I don’t have an Android device to test this product with, I do however have my trusty ol’ iPhone 5, and with most things if supported officially, works straight away. Or so I thought. For a minute I was wondering why the device won’t sync to my phone, turned out that holding the home button alone won’t just do. You need to keep pressing the Y button and then hey presto it works. Helps to read the manual sometimes I guess! 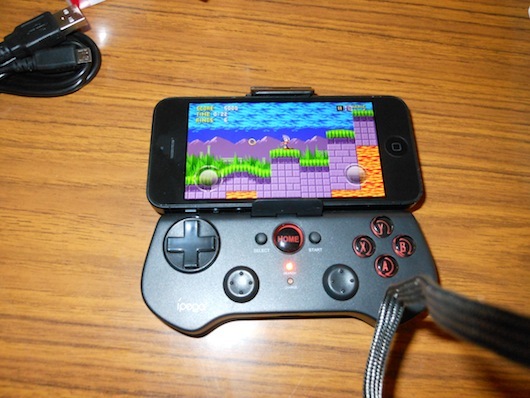 Now that the device is synchronised to the phone, Let me explain about how the controller feels. Bonus points for a proper D-Pad! I’ll say it straight out. It feels cheap to begin with, but it works very well. 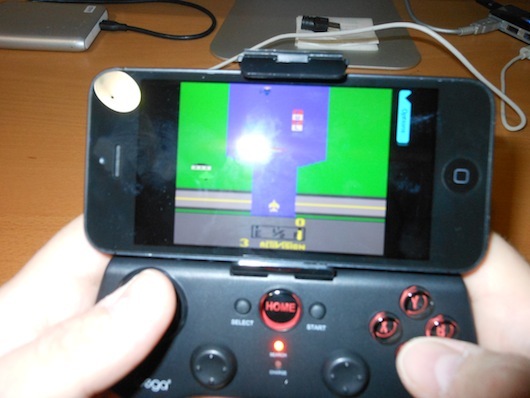 The analog sticks feel as small on the thumbs as it would on a PlayStation Vita. 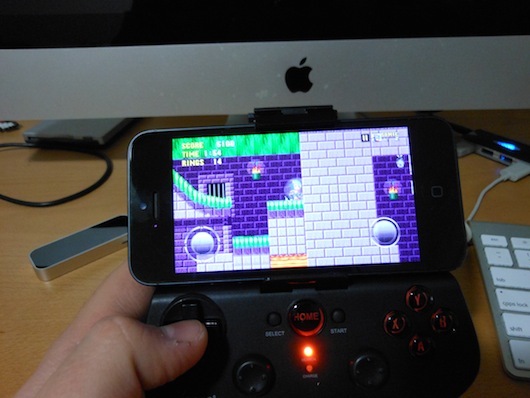 Granted I haven’t played any games that worked with them, however further reading in to the manual, it seems that you can change the modes for control (iCade, Mouse, Keyboard and Joystick) depending on how you connect your device to the controller. 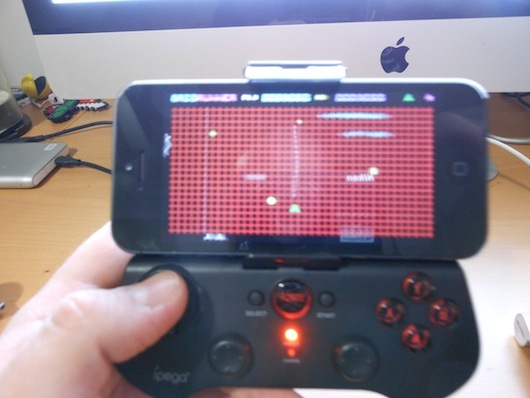 As for latency between pressing the button and the game responding? Close to zero, which is a bonus. Battery life is decent too, played with this thing for a couple of hours after a full charge and no problem, although it’s hard to tell if the device is fully charged as the orange light was still on after I left it charging overnight. All right enough about the controller, it’s game time! Yes, that is a Leap Motion on the left! 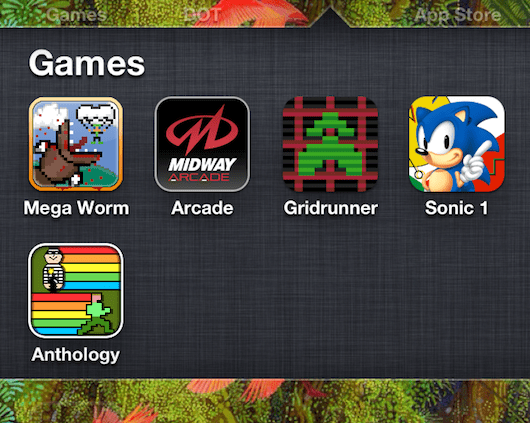 Sonic the Hedgehog (iOS & Android) which for the record doesn’t have any mention anywhere that the game supports bluetooth controls, but it does! So after having a go at a few games that support bluetooth controls I can say that for it’s size and weight, the PG-9017 controller is a good choice for portability. It includes an ample amount of buttons and that is a good thing which shows that it can be used for other devices and not just iOS and Android. 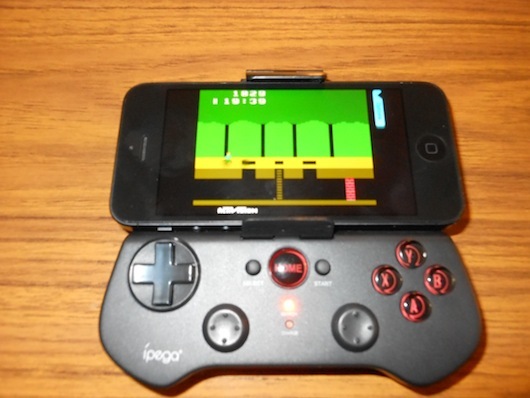 My only concern is how cheap it feels in comparison to a games controller and of course the controller only support games in landscape mode as opposed to how the iCade has the space for you to prop a device in portrait or otherwise. I should mention that although the phone grip feels flakey, it’s fine for slight movement of your hands, but don’t wave or shake it around like a maniac! 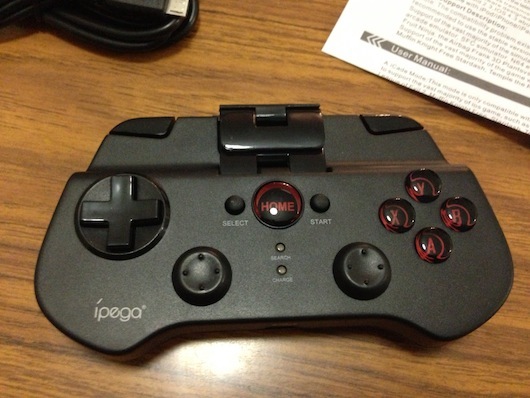 With all that written, If you are a dedicated portable gamer with your mobile tablet or phone and have loads of emulators or games that support such controls, then I would recommend the PG-9017 controller. 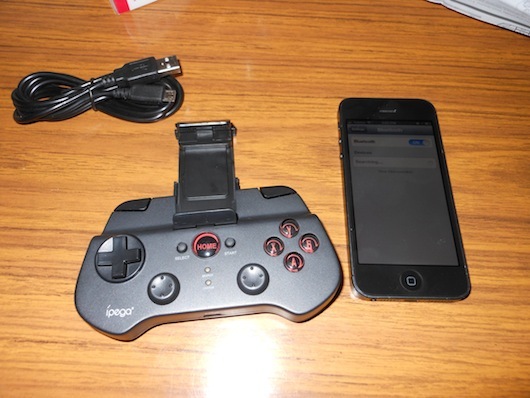 Special thanks to Chris at MobileZap.com.au for providing us with the controller to review!